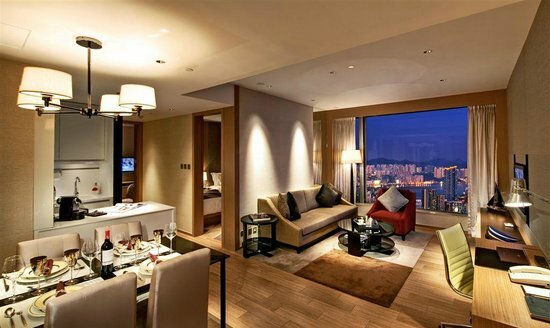 The HarbourView Place is another luxury suite hotel by Signature Homes of Sun Hung Kai Properties. 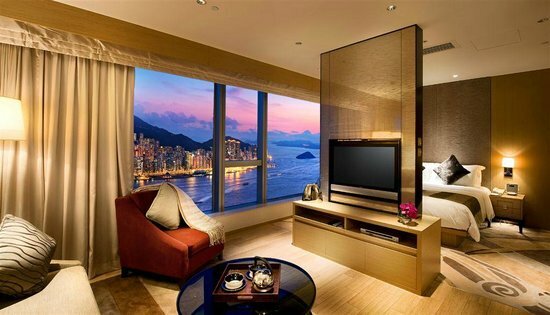 On par with its sister development the Four Seasons Place, the HarbourView Place is tastefully decorated and located across the harbour above Kowloon Station. The apartments occupy the 50-70th floors of the Cullinan II, and as its name suggests boasts some breathtaking views of the harbour. For the single traveler, studios start at 490 sq. ft., with 1-3 bedrooms (863-1,420 sq. ft.) suites for larger families. And if money isn’t an issue, splurge and book a presidential suite (2,290-3,270 sq. ft.) and live like a royal.